Enjoy the "sport of kings" on our world-class indoor tennis court. You’ll find everything you need under one roof at our spectacular Renaissance Tianjin Lakeview Hotel. From our stunningly designed atrium to the eye-catching indoor pool and world-class fitness center with an indoor tennis court, there’s always something new to discover. Our three restaurants can satisfy any craving, while our two ballrooms and abundant meeting spaces are perfect for any event, large or small. 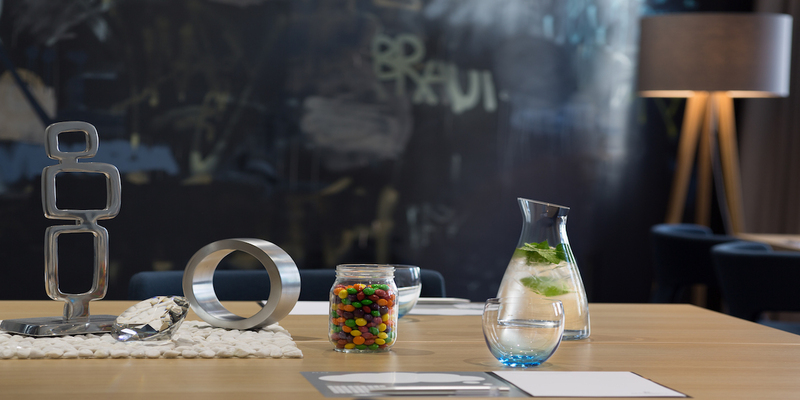 Ask resident Navigator Lily about the nearby Tianjin International Exhibition Center, local shops or the vibrant night life you’ll find just steps from our front door. And if you want to explore further, the bright lights of Beijing are only a short train ride away. The bartenders at Feeling Club really know how to put on a show. Watching them mix up killer cocktails is half the fun. Packing energy, excitement and a whole lot of entertainment, Feeling Club is a ravishing nightlife haven in Tianjin. The patrons here are stylish and the venue is spacious, trendy and hip. Watch out for some killer beats, as the club plays electronic, house, trance music and even funk, hip hop. 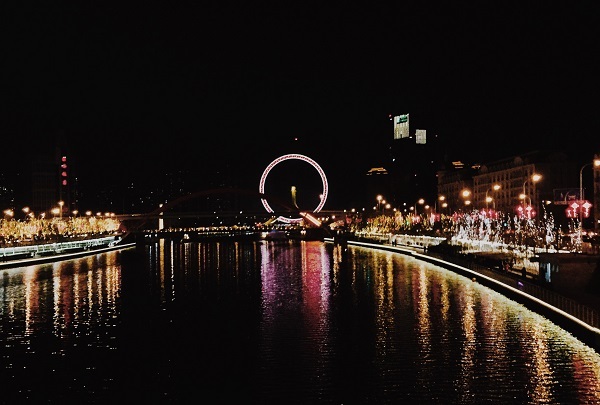 The Eye of Tianjin stands out because of its size and location. Built over a bridge, it offers unparalleled views of the city. As Tianjin's answer to the London Eye, this massive attraction offers unparalleled sights of the city below. The Eye of Tianjin stands at a staggering 120 meters (394 feet) and overlooks the Hai River. Magnificently lit against dark skies, enjoying a ride of this Ferris wheel is a must while in the city. Made with half fermented flour and a juicy filling, Go-believe steamed stuffed buns are soft, fragrant and delicious. 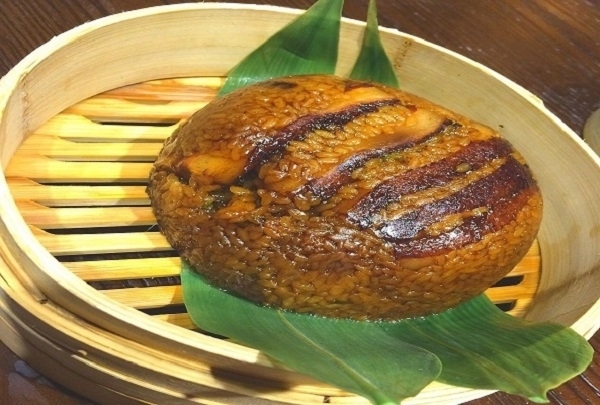 While in Tianjin, everyone must taste Go believe's fabulously steamed and stuffed buns. These delicious pastries are stuffed with a variety of fillings and steamed in the shape of chrysanthemums. Many cute shops can be found in this authentic replication of an Italian village, complete with a coliseum. 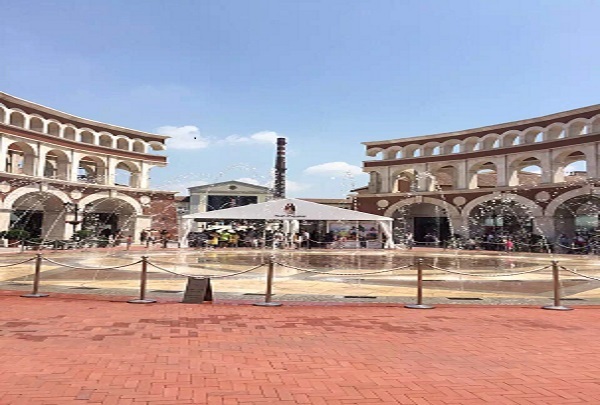 A perfect replica of an Italian town featuring a canal and a coliseum has sprung up as a shopping mall in the district of Wuqing on the outskirts of Tianjin. Florentia Village delivers an attractive and unique shopping experience complemented by authentic Italian cuisine and a wide variety of entertaining cultural events. 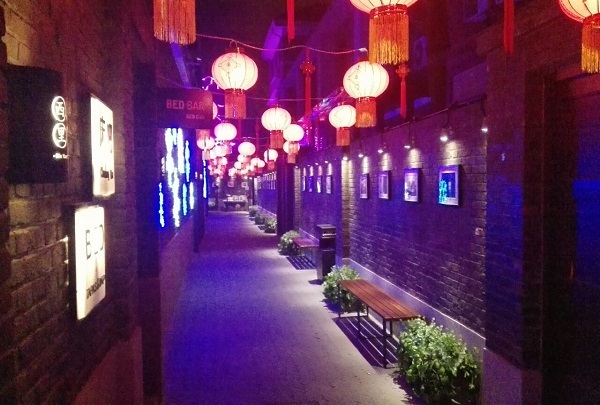 Ancient Culture Street is a commercial street with Tianjin characteristics. Along this 5m wide ancient culture street are all Ming and Qing style houses of one or two stories. The street accommodates nearly 100 shops that sell writing and painting supplies, old and used books, folklore articles, traditional handicrafts and so on. You will find shops for Yangliuqing New Year pictures, Clay Figurine Master Zhang's colores clay figurines, and Fengzheng Wei's kites. The whole idea of this bar is to provide a place where one can relax and drink. Gal Bar has a vast collection of single malt whiskeys that also make an excellent addition for making amazing cocktails. 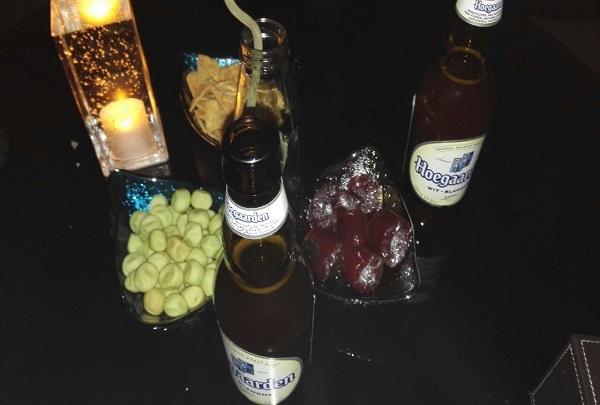 Gal Bar distances itself from live music or DJ nights because the whole idea is to provide a place where one can relax and drink in a serene and cozy ambiance. The famous transnational restaurant offers most authentic and traditional Korean barbecue. 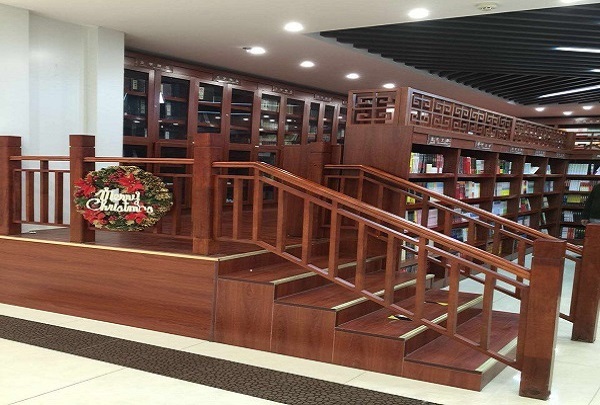 Kang Ho Dong Baekjeong, a famous Korean BBQ brand, has now opened a branch in Tianjin. 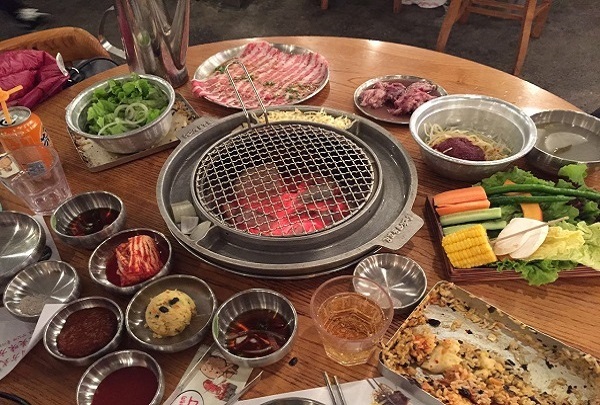 It only serves high-quality meats and offers a dining experience that emphasizes the most essential and unique qualities of Korean BBQ. Choose from a variety of beef and pork cuts, which are cooked in front of you on tabletop grills. The Riverside 66 (Tiajin Henglong Plaza) is a shopping mall filled with upscale boutiques and stores. 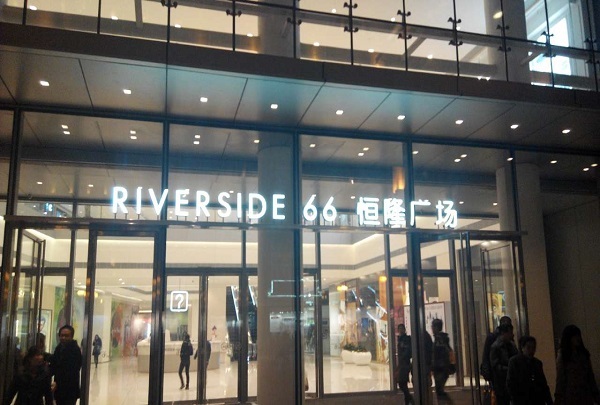 The Riverside 66, located in the center of Tianjin, offers a variety of brands and many different restaurants. The shopping mall itself is a long beautiful oval building fully covered by glass, which reflects the skyline of Tianjin. Save 42°C is an art salon where you can mingle with like-minded people and enjoy food and art. On the third Saturday of every month, Save 42°C hosts parties with different themes, that features fascinating art. The parties also offer interactive events such as DIY cooking classes. South Beauty is one of the top Sichuan restaurants in Tianjin and offers excellent quality and service. South Beauty Restaurant serves high-quality Sichuan dishes made with the freshest ingredients. These traditional dishes are often served with contemporary twists and unique additions. The Five Avenues feature garden-style buildings built in the 1920s and 30s. The Five Avenues are located to the south of the downtown Tianjin. This area is made up of five parallel streets named after five cities of southwest China. The Five Avenues feature stunning buildings constructed in the 1920s and 30s. 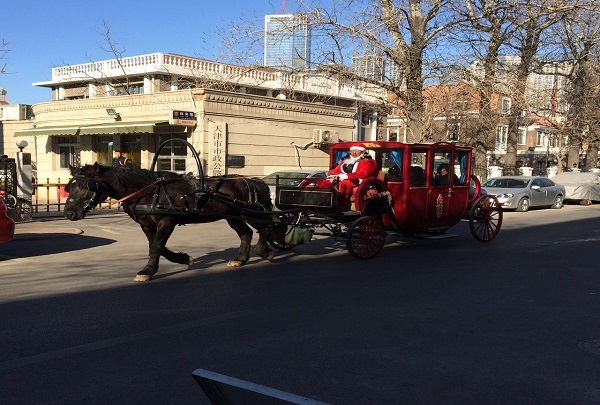 It includes over 300 famous buildings, some of which are now the homes of famous celebrities. Popular nighttime place for young people with various fests and incredible DJs. 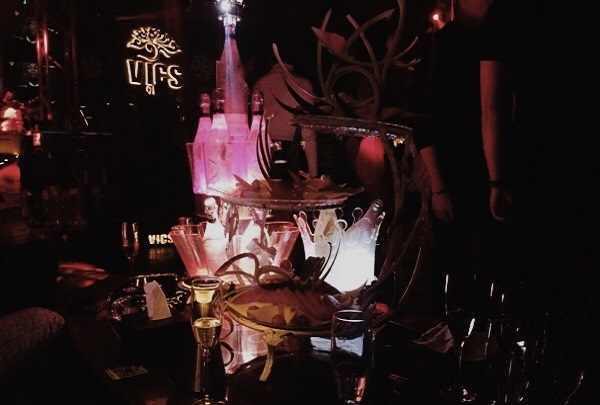 VICS is the first choice for people seeking an unforgettable night-time experience in Tianjin. Besides the trendy music and the fantastic drinks, VICS holds a variety of fests which attract plenty of celebrities. If you are looking forward to enjoying the best nightclub atmosphere, go to VICS. 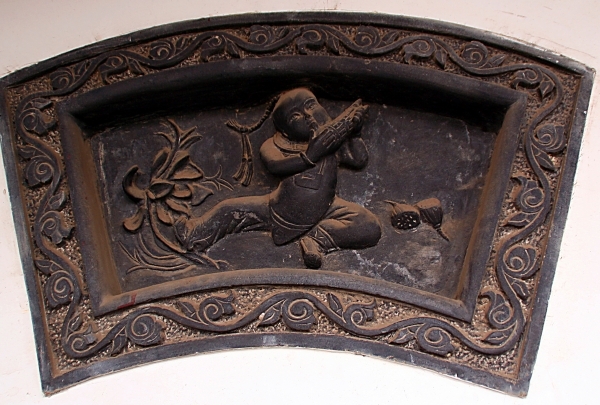 The streets surrounding the Drum Tower are rich with traditional folk crafts. Find antique jewelry and various other trinkets. Buildings having Qing Dynasty construction style surrounding the place, Gulou shopping street is a perfect shopping paradise. 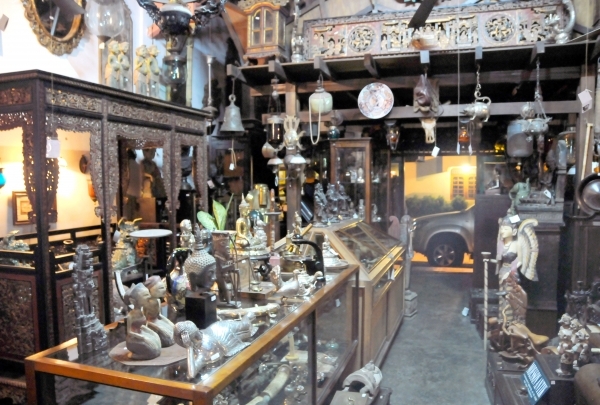 Unique items and antiques can be found here, with items like rugs, carpets, wicker chairs and tables, antique jewelry, wood carvings, swords, fancy paintbrushes and other one of a kind crafty items. It's a very popular tourist destination and the shoppers tend to charge higher, so make sure you haggle well. Live bands playing pop-rock entertain this German beers crowd.In addition to fancy mixed drinks cocktail are popular. Opened by the brains behind Richmond Bar, Paulaner is a new German themed restaurant and bar. Expect a ball of a time, as you are served German sausages, pretzels, veal escalope and other delicacies. But the fun doesn't end there. What makes this place a popular watering hole is the genuine German Paulaner Beer, range of schnapps and other draught beers. The meat platter, German Potato Salad are must trys. To top it all, you can enjoy live-entertainment as they have regular live-music performances by regional German bands. Built in 1875, this six-hectare mansion is now a museum. Experience what it felt like to be a refined, Qing Dynasty aristocrat. Home of the richest family in Yangliuqing, Tianjin Shijia Mansion is a popular local historic site in the Yangliuqing town. The architecture here is in the beautiful Chinese palatial style and resembles the architecture of imperial palaces. The mansion was built in 1875 and today it's a museum exhibiting the history and legacy of the Shi family. You can even find craftsmen selling paintings, paper cuttings, kites, clay figures and various other unique items which can be great souvenirs. Ladies in Leboutin's patented red-soled shoes strut about this luxury shopper's haven. Take home an LV bag or a Burberry coat. One of the top high-end shopping destinations in Tianjin, You Yi Store has won hearts of locals and become a tourist favourite. With a list of luxury brands like Louis Vuitton, Dior, Tiffany, Versace, Zegna and Bvlgari, You Yi has first class service and professional staff. 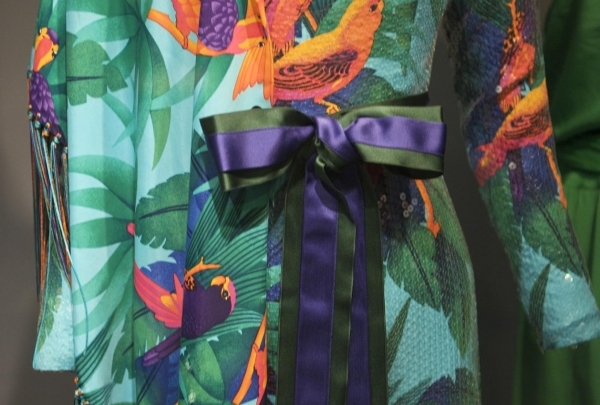 With more brands like Gucci, Prada, Chanel, Hermes and D&G, You yi's list of fashionable collections will appeal to the luxury seeker in you. 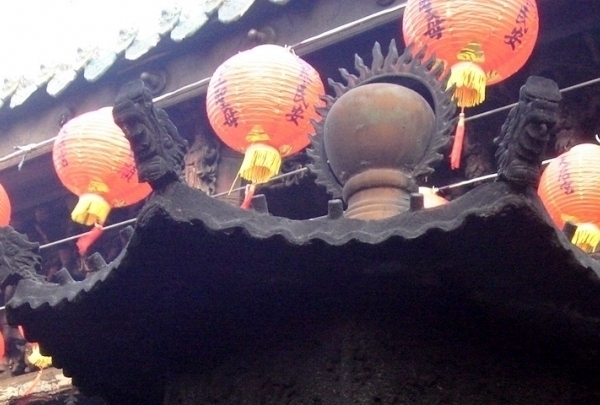 This temple is dedicated to the Goddess of the Sea. The multiple buildings are a fantastic example of Ming architecture. 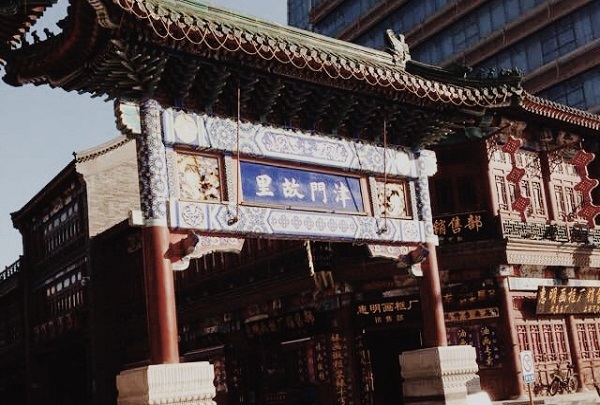 Not only does this former house of worship rate as the oldest building in Tianjin, but it also grades as the only authentic structure on Ancient Culture Street. Built-in 1326 during the Yuan dynasty as a tribute to Empress Tianhou, the goddess of seafarers, it has endured numerous renovations. It's the largest comprehensive park in Tianjin, one of the ten scenic spots in Jinmen, with the name of "Longtan Fucui." 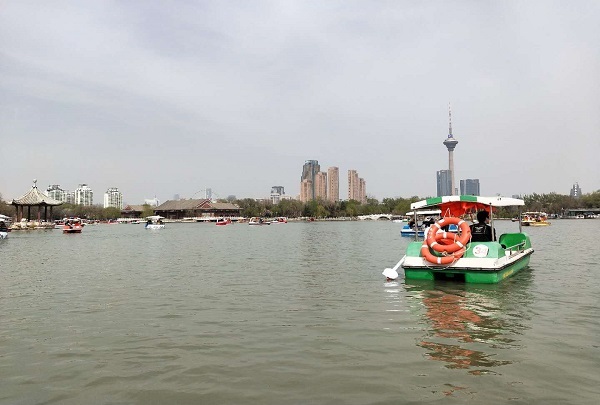 Water Park is a 4A class scenic spot in Tianjin, with a total area of 125 hectares. Of the total 125 hectares, 75 hectares is the surface area of water and the land area amounts to a total of 50 hectares. It is the largest comprehensive park in Tianjin. 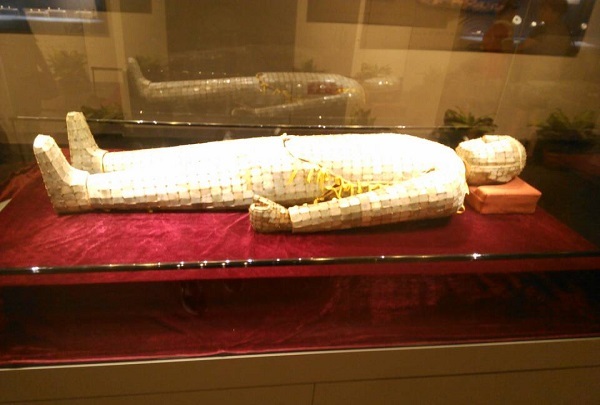 The Tianjin Museum has an extensive collection of ancient Chinese fine art and exhibits on Tianjin's history. There are nearly 200,000 pieces in this museum's collection of art and relics. This includes calligraphy, paintings, bronzeware, ceramics, jadeware, seals, inkstone, Jiagu, coins, historic documents and relics of modern times. If you want to dance, coming here is absolutely the right choice. 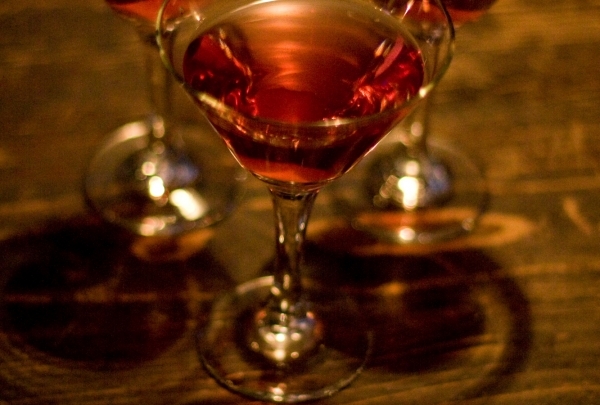 The bar is located in financial centre area, but on a quiet lane where you will find tranquility in a busy area. The owner offers wonderful hospitality to all the guests and the best quality of food and drink makes this bar a favorite. 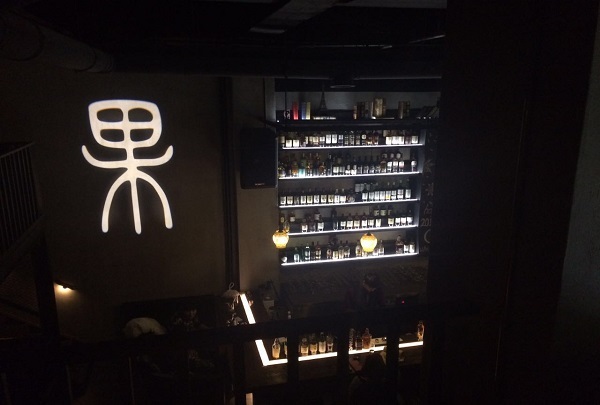 One of the hottest restaurants in Tianjin is part of a local food brand from Nanjing. 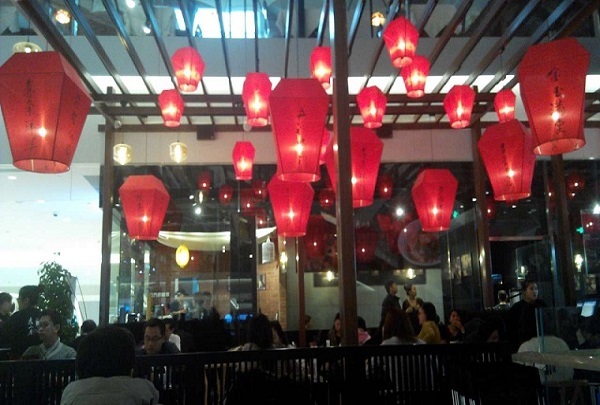 Nanjing Da Pai Dang can be found in the newly opened Capital Land Mall at Xiao Bai Lou. The restaurant's motto is "retain the old flavor," and this is reflected in the decor. October is the season for crab and here you are able to experience it cooked in various ways. This area incorporates various styles of buildings from different periods of Italy. 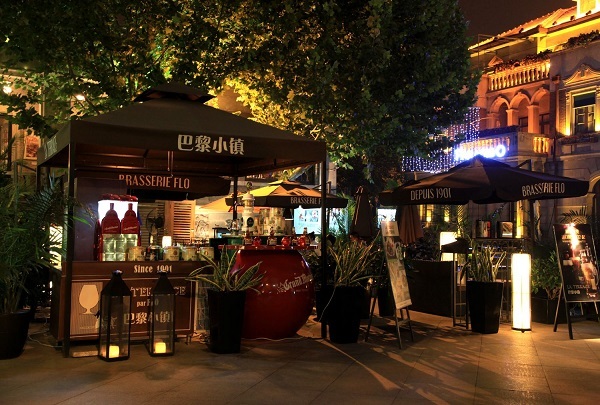 In the heart of the city full of traditional Chinese culture, this is a western-styled area called Tianjin Italian Town. Today it is the largest and the best preserved Italian-style building complex in Asia. Tianjin Italian Town is definitely a fantastic place to discover Italian culture. The largest book market in Tianjin. The Tianjin Book Building, situated in the Xiaobailou financial and business zone, is the largest book market in Tianjin and is usually filled with people. A great variety of books are sold here, and you just might find some books your kids would like here. Everything at Shanghai Min is very consistent. Shanghai Min is the fine dinning restaurant that serves Shanghai cuisine, which is in stark contrast to the flavors of Tianjin. This is a perfect destination for you to experience a diverse selection of Chinese dishes. The new restaurant Cloud South Yunnan Ethnic Cuisine brings classic Yunnan food to Tianjin. Yunnan food makes use of a lot of spices and is mainly cooked by deep-frying, grilling or boiling. Some of the dishes are similar to Thai food and they can be spicy. This antique porcelain museum was elaborately built over six years on the base of a French-style building. 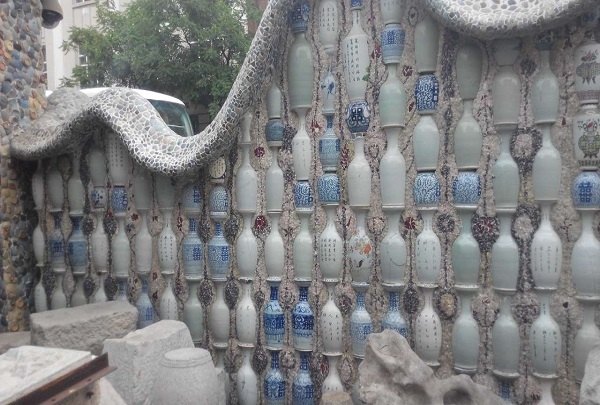 The Porcelain House is located in a bustling area. Originally a 100-year -old French style villa, the residence is a five-floor building. The house perfectly combines traditional Chinese and western architecture. 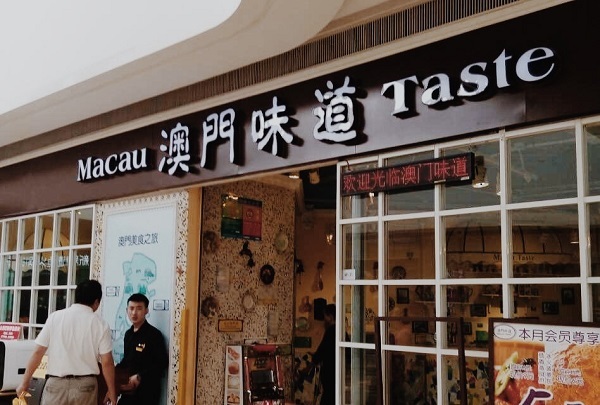 Authentic Macau flavors hidden in Joy City. The restaurant uses pictures of Macau's streets as their wall paper, which is very special and attracted a lot of customers. The food is tasty and full of authentic Macau flavors. If you are a real foodie, you must try it. A social club in Tianjin. 13 Club is a very popular place among young people. Enjoy watching the live band perform - let's rock and roll! 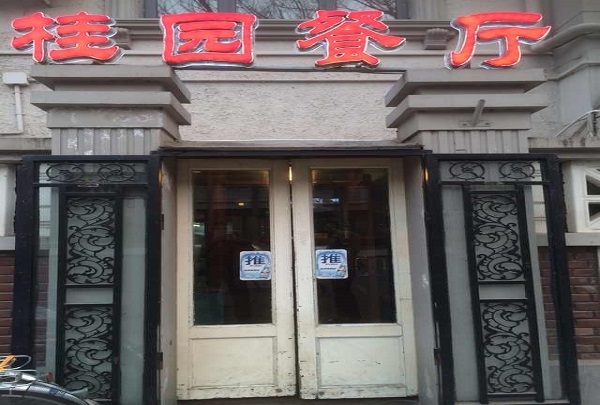 Established in 1895, Du Hsiao Yueh Restaurant is popular with both locals and tourists. Du Hsiao Yueh Restaurant's specialty is the Taiwanese favorite noodles dish Tan Tsai Noodles, which is soup noodles with some vegetables and minced pork - it is a simple yet delicious meal! 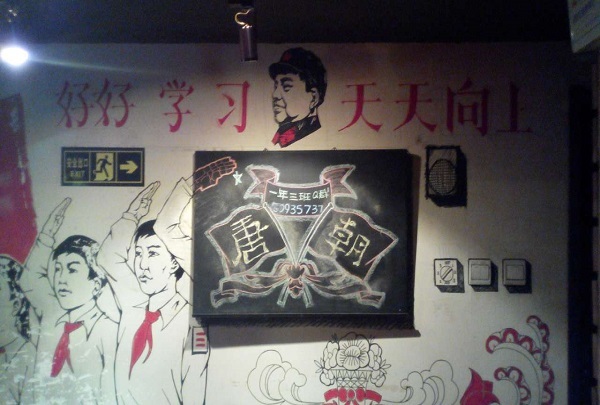 This bar has a nostalgic atmosphere with music that will remind you of Lijiang. 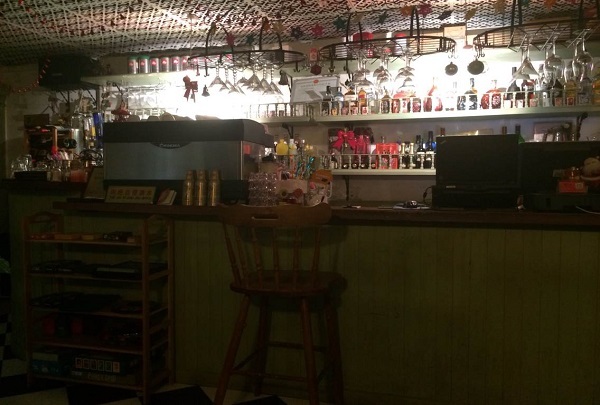 All of the decorations in this bar were collected by the owner during his many trips around the world. The bar also has a high-end sound system that music-lovers can enjoy. 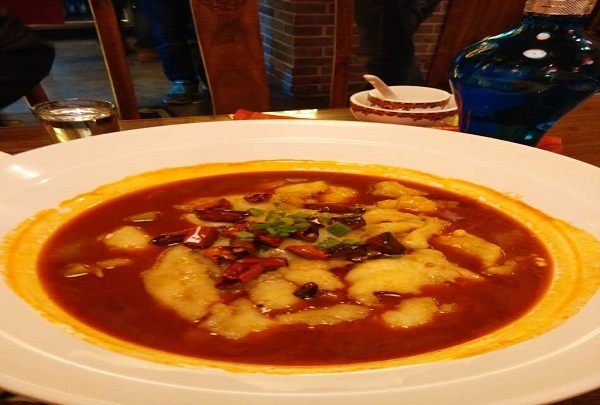 Guiyuan Restaurant is a well-known Tianjin restaurant in the Five Great Boulevards. 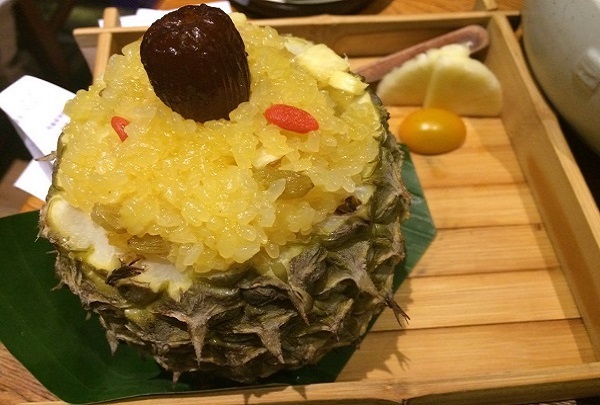 Guiyuan Restaurant is a popular restaurant situated in the heart of the city. 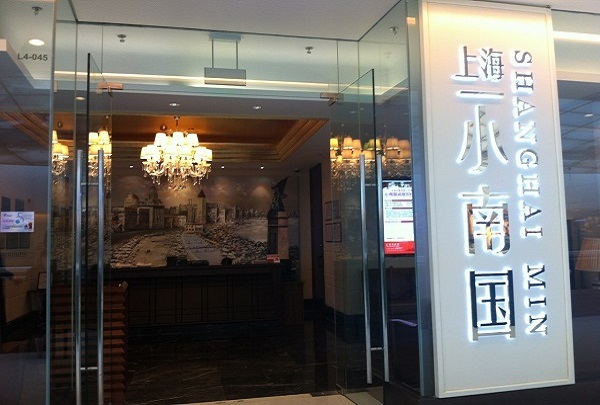 This is the best place for you to try authentic Tianjin cuisine. 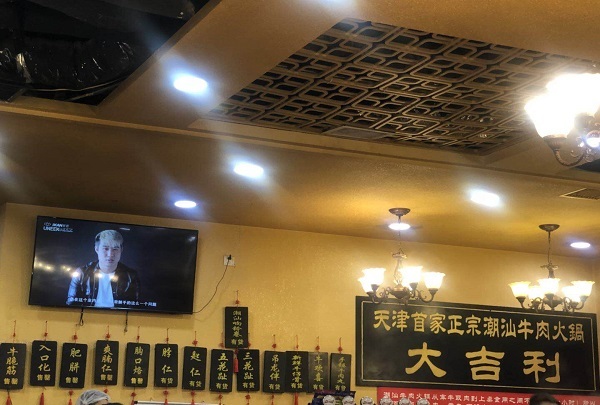 In addition to the signature Black Garlic Beef, dishes like Eight-treasure Tofu, Soft Fried Shrimp, Net-caught Jumping Carp, Nine-turn Large Intestine are all their specialty which is quite popular among the patrons. 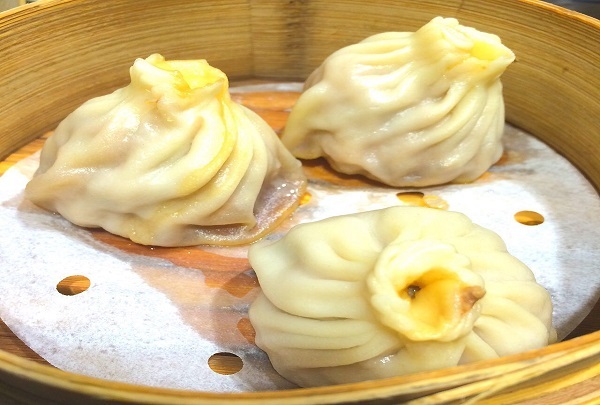 Din Tai Fung serves delicious comfort food in an elegant setting. 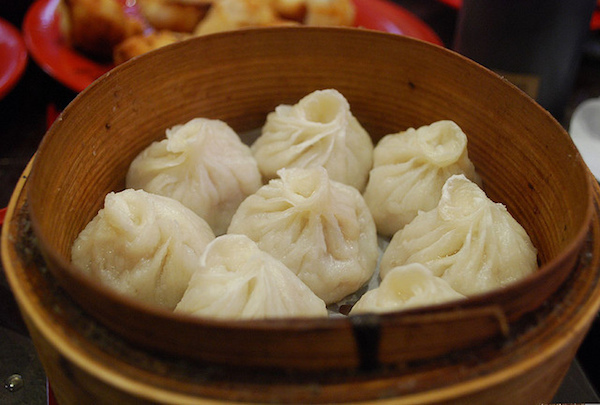 Din Tai Fung is known for excellent service, delicious dumplings, and its elegant interior. The restaurant, which also has several other locations throughout Tianjin, serves dumplings that keep locals and visitors alike coming back for more. Satiate your hunger by savoring delicious hot pot dishes in Hai Di Lao. Hai Di Lao is a leading hot pot restaurant in Tianjin. 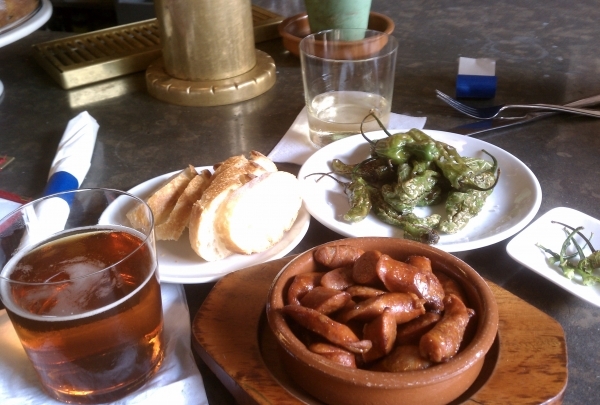 Its most prominent traits are prompt service, cozy ambiance and delicious food capable of satiating diverse palates. Hai Di Lao is committed to customer satisfaction. 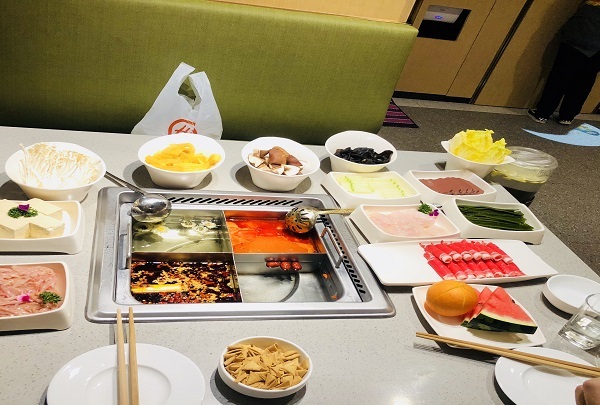 Hai Di Lao Hot Pot is the place to be if you want to explore the best of local and hot pot cuisine while in the city. Authentic, fresh and delicious local delicacies at reasonable rates. Dajili Chaoshan Beef Chafing Dish is a new form of hotpot shop which is committed to serving only freshest quality meat dishes. Every dish here is delicious and reflects the authentic Chaoshan flavors. The waiters here are friendly, warm, considerate and ever-ready to suggest new dishes to try. A luxury shopping mall in the center of Tianjin. 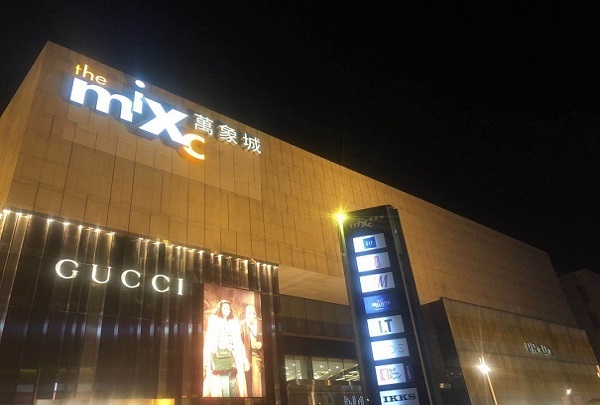 The former Galaxy International Shopping Mall is now renamed The mixc. Located in the cultural center of downtown Tianjin, it is a high-end mall with luxury stores, restaurants, and entertainment options. 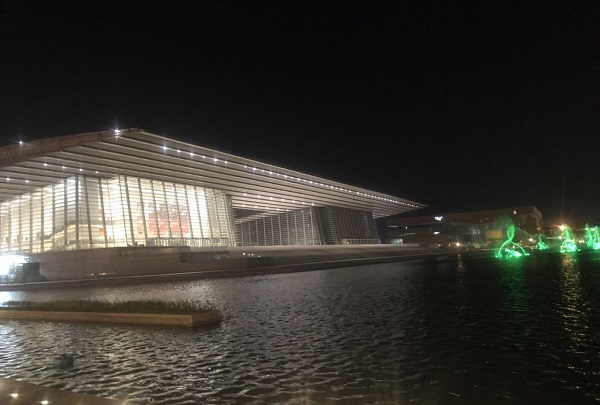 Located in Tianjin Cultural Center, Tianjin Grand Theatre has wonderful drama performances and musicals every week. Tianjin Grand Theatre, with a total floor area of 105,000 square meters, can accommodate more than 3,000 guests. The theater is a comprehensive multi-functional art creation and performance organization, that further incorporates an opera hall within its layout. New green tea, fresh leaves and tea production process. There will be a demonstration of fried tea master and a performance of tea artist. After viewing the green tea production process and brewing methods, guests can order a pot of fresh green tea to taste the fresh and fresh fragrance of spring green tea.